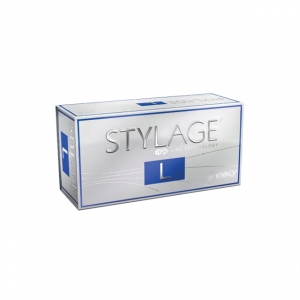 Accessory: Package incorporates a patient label record sheet (recommended to be injected with a 16G, or wider, blunt cannula, separately obtained). MACROLANE™ VRF-30 10ml is used for nonsurgical treatments for the purpose of having an excellently shaped body. You can use these injections for the treatment of your patients for your hospitals and clinics from Meso Pro; it is an online web store where you can get many other skincare products in wholesale rates. You will not get these authentic products from any other internet store. They also ensure the quality of products. Also, a customer service provider will deliver you the products in less possible time. 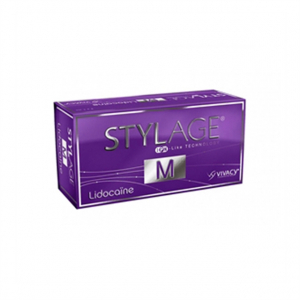 MACROLANE™ VRF-30 10ml can be injected to the body areas such as buttocks, calf muscles, breasts portions etc. the face parts are strictly avoided because the formation of these injections are exceptionally made for deep tissue folds. However, facial areas are sensitive and do not possess deep thick tissue folding. The particles present in these injections are made larger for correcting severe folding of tissue inside the body. Cosmetic surgeons, doctors, dermatologists, plastic surgeons have found to use it on body for shaping it with a plastic surgery. Although, some radiologist have been found to have troubles regarding it treatment with breast but on checking breast cancer cells on mammogram, no cells of cancer were found. Thus, it is completely safe for uplifting and giving shape and volume to hollow breasts. 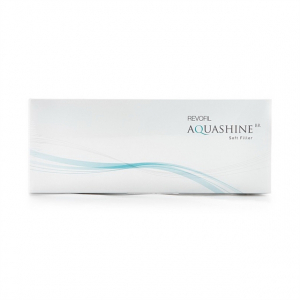 It truly sculpts the body with its fine design of hyaluronic acid cross-linked. MACROLANE™ VRF-30 10ml; a dense particle gel, is made from hyaluronic acid. These inejcteions when injected into the parts of body, holds the water into the molecules of hyaluronic acid. This sooths the skin of your patient’s body, making it complete and in shape. It plumps the skin and adds more elasticity and strength to the body. 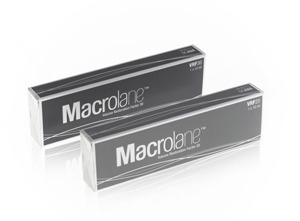 MACROLANE™ VRF-20 10ml holding period may vary according to the nature and condition of the skin. If there are deep tissue fold found on the skin of the patient with extremely bad condition, then it will take more time to rejuvenate the linings of internal skin. However, in moderate conditions, skin will take less time to recover. The results are found to last for a year. Some cases were reported in London where the results lasted up to 18 months (maybe because of cold weather as in hotter regions, the lasting period is shrunken up). Side effects may include; inflammation, bruising, redness, swelling, slight pain, soreness. However, these effects are temporary and will only last for two weeks (four weeks in case of severe tissue folding). Hyaluronic acid is already present in human body so it does not cause any harm to it but some people are allergic to hyaluronic acid so they shall avoid the treatment of these injections or consult a doctor before administration. If you are having a bulging tummy or saggy or loose-fitting body, you can get yourself treated with a non-surgical and painless treatment of MACROLANE™ VRF-30. It is going to get you in shape after you have had your pregnancy or started aging. This will truly get you back your old perfectly looking body. Or even if you never had an amazing sculpted figure. It will fulfill everyone’s desires of having a smooth looking body. Also, its wholesale rate from MedicaDepot.com will help you do the economical purchase. * Meso Pro offers only genuine MACROLANE™ VRF-30 10ml that is manufactured by Q-Med AB. All brands listed here including MACROLANE™ are the trademarks of their respective owners. Meso Pro is not operated by, supported by or affiliated with Q-Med AB or Medicis.